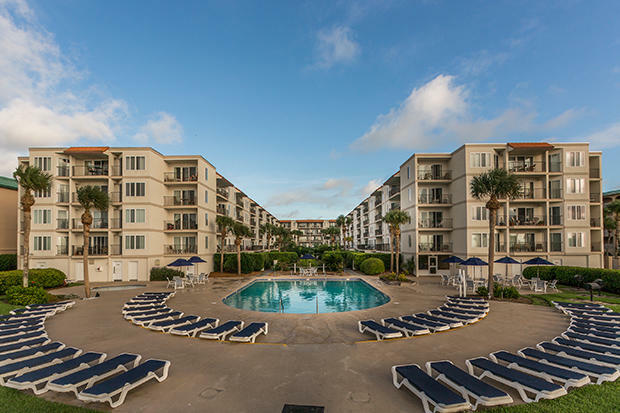 Hodnett Cooper Vacation Rentals is pleased to offer residences at one of the most popular condominium destinations on St. Simons Island! 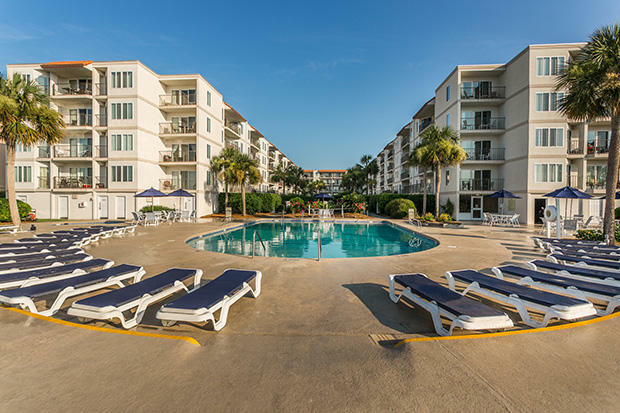 Oceanfront on St. Simons, The Beach Club offers a relaxing vacation experience for both the intrepid beachcomber and family alike. 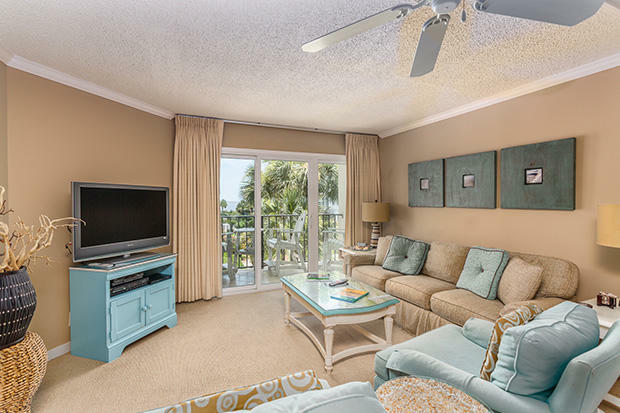 Four floors rise above the sand dunes offering a commanding view of the Atlantic Ocean. 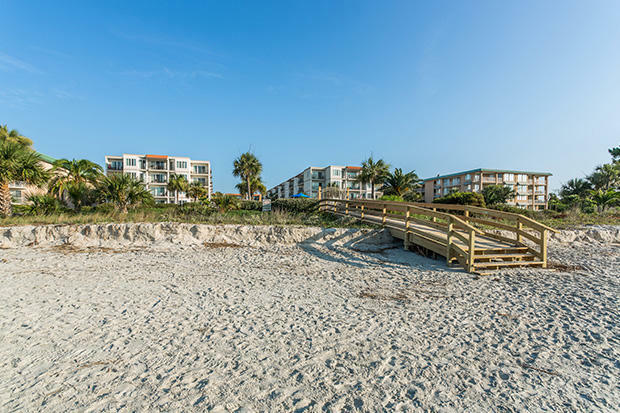 A short stroll down the private boardwalk leads you to a sandy beach sprinkled with memories that will remain long after you leave the Island.Whether you enjoy a sunrise from your balcony, or a breathtaking moonrise later that evening, the Beach Club offers guests well-appointed one-, two- and three-bedroom residences. 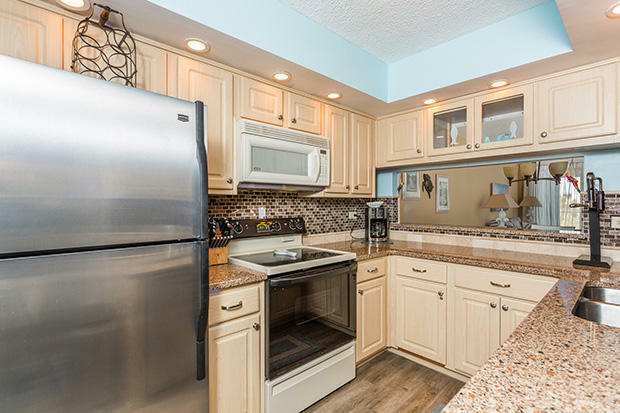 All residences include a fully equipped kitchen, private balcony, and combined living and dining area.Begin your day with a brisk morning set on the private tennis court. After a day of beachcombing, relax in one of two private hot tubs located in the beautifully landscaped courtyard. 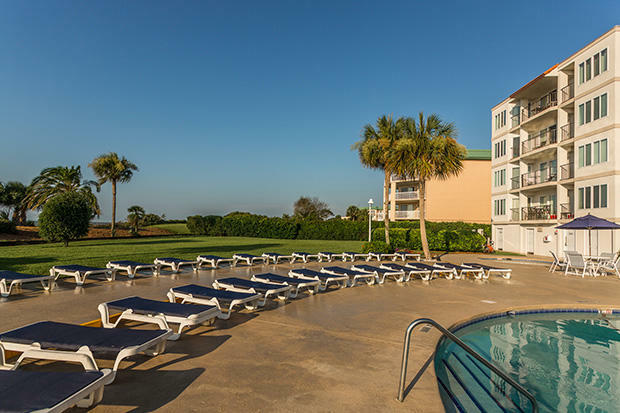 If you prefer, lounge beside the Beach Club pool and relax all afternoon. Children appreciate their own pool nearby.The Beach Club Multi-Purpose center offers a fitness area and business center. In the evening the property patrol staff stands prepared to assist at a moment’s notice.